He was once happily bedding and boxing, but in the newest Duke's Behaving Badly novel, Nicholas Smithfield has inherited a title and a bride . . .To keep his estate afloat, the new Duke of Gage must honor an agreement to marry Lady Isabella Sawford. 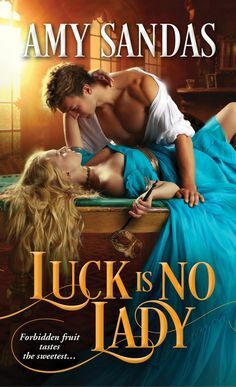 Stunningly beautiful, utterly tempting, she's also a bag of wedding night nerves, so Nicholas decides to wait to do his duty—even if it means heading to the boxing saloon every day to punch away his frustration.Groomed her whole life to become the perfect duchess, Isabella longs for independence, a dream that is gone forever. As her husband, Nicholas can do whatever he likes—but, to Isabella's surprise, the notorious rake instead begins a gentle seduction that is melting every inch of her reserve, night by night . . .To his utter shock, Nicholas discovers that no previous exploits were half as pleasurable as wooing his own wife. But has the realm's most disreputable duke found the one woman who can bring him to his knees— and leave him there? Nicholas, has just learned that he has become the new Duke of Gage, and as such he has an obligation to marry the beautiful Isabella Sawford. Nicholas has no clue how to be a Duke, he knows women and box ring fighting, but how to handle a seemingly perfect wife, and dealing with tenants and the house of Lords are so out of his comfort zone. He has no idea where he is going but he knows one thing, that his gracious wife is the key. He is drawn to her, and wants to know more about this mysterious woman who is more that who she appears to be. Isabella Sawford, has always known that she would marry the Duke of Gage, ever since she can remember she has been trained to be the perfect duchess. She has always said yes to her parents dictates. Once she marries her life has changed, and she starts learning new facets of herself, and is captivated by her husband and wants more from her life than throwing the perfect parties and soirees. Will Nicholas and Isabella find a way to balance each other and find happiness that they are searching for? Nicholas, has always been a passionate lover and fierce fighter. He hasn’t really known anything else. Nicholas is a man of pleasure but he soon is drawn into a world of duty and obligation that he wasn’t expecting to find. Nicholas is a man who on the surface appears to be all about pleasure but there is more depth to his character than meets the eye. Nicholas takes everything that comes at him in stride with patience, he is open and honest and loyal to a fault. I loved the way he was in this story, a rake of course, but a man who is human, makes mistakes, has dreams and is working to improve himself. What was most endearing about his character was how engaging he is in the little actions he does. Isabella has only known duty, and how to make a party perfect and has been trained her whole life to be the perfect Duchess. Now she is a Duchess, and all she sees is someone she doesn’t want to be. She wants to be more than who she appears to be. She wants to do outrageous things, learn to box and have fun for the first time in her life. In this story we see her character change quite a bit, and she definitely grows right before your eyes. From a woman who is proper at all times, to a woman who wants and needs more and is willing to fight for it. Isabella I liked quite a bit, but at times her character became a bit annoying, because of how she treats Nicholas at times. In all honesty she gets angry at him, because of her personal reason that he has no clue about. But once she shares who she wants to be with Nicholas, then I started to enjoy her character more. Put Up The Duke is a story that caught my attention from the very beginning. What we see is a story of seeing two people grow and change together. Nicholas and Isabella don’t know each other at all before they get married. What was most fascinating was seeing them struggle and trying to learn each other. We have here a story of two people who are so different from each other, but at times they are perfect for each other in the little ways. Ever since I discovered Megan Frampton, I have been blown away, by her talent in drawing me into her stories from the beginning. I could barely put this one down, and I had the hardest time doing so with this title. 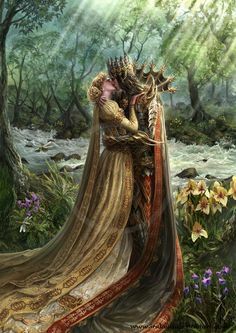 I love the way the story line develops and the focus is the character development and a love story that is about those tiny aspects of life that keep you drawn to each other. It has a beautiful simplicity to it at times, the misunderstanding, telling stories and brushing your wife’s hair, or teaching her how to box (that was fun to see). An additional element to the plot was how devious Isabella’s parents are, and their plans add a bit of intrigue to the story. I am interested to see if we see more from the siblings of Isabella and Nicholas in future books. What a gorgeous cover….I just love it. I would read this book for the cover alone. I love the rich earthy colors, and the pose, and isn’t that male model just beautiful…. *sigh* what more can I say. Put Up Your Duke is a sweet mixture of unforgettable characters, stunning detail, entertaining on every page and will capture you from the beginning….guaranteed to touch the readers hearts. BEWITCHING!! Isabella felt herself shaking—in joy, or shock, she wasn’t sure. The possibility of freedom, of not having to marry the duke, dangled before her like a beautiful jewel she just had to reach out and take. And her freedom was more precious than anything, since it was so rare, rarer than the rarest diamond. She’d never even had it, not for a moment of her life, whereas diamonds, for a lady in her position, were relatively easy to see, if not own. Her mother glared at her, as though it were her fault the duke was no longer the duke. Isabella wished she could tell her mother that if she had the kind of power to unduke someone, she would have used that power to entirely extricate herself from any kind of marital agreement. Or maybe make herself look less beautiful so people would stop bothering her. “Stop dawdling, Isabella. You can see yourself out, Maria?” It was not a question, but at least her mother gave her aunt the courtesy of pretending it was. Isabella merely nodded, even though she wished she could tell her aunt, tell somebody, how she felt about marrying well. About how marrying well meant a very different thing to her than it did to her family. If she didn’t have to marry the duke after all she could find someone, perhaps, who would care for her. That would be a good marriage, not one where her husband’s title was more important than if he was a pleasant man. She didn’t require love, but she wanted companionship, and friendliness, and perhaps a measure of fondness. The duke—at least, the only Duke of Gage she currently knew—had never shown her any of those things, or any possibility of them, instead treating her as her mother did, as someone to be corrected and scolded into perfection. Perfection Isabella had achieved, even though she wasn’t proud of it. She had been molded into the perfect duchess, only now—only now it seemed as though there was no duke to fulfill her training. The thought made her want to laugh, if only because it so thoroughly ruined her mother’s plans. Freedom. Isabella had only occasionally allowed herself to think of what might be possible if her future weren’t already determined; now that it was here, that it might well be her future, she was terrified. What would she be if she wasn’t the Duchess of Gage?